The profession of law is more challenging today than ever before. Between demanding corporate clients and an unpredictable economy, lawyers like many other professions are being forced to the edge of uncertainty. And many lawyers, law firms and legal departments are not prepared for the economic and technological reality of today’s legal market. And, it’s going to get more competitive. Lawyers today practice in a marketplace where a law degree, call to the Bar (licensure), and ‘knowing the law’—without more–won’t get them very far. This is particularly true for junior and entry level lawyers who are well aware of the impact of technology and the waning legal market. Richard Susskind sees ‘rosy future’ for law – if it embraces technology. “In a keynote speech to the global legal profession, [then] English Law Society CEO, Catherine Dixon, … praised the benefits of AI [artificial intelligence] and urged lawyers to embrace the new wave of advanced legal tech. The comments were part of a speech at the International Bar Association‘s annual gathering in Washington DC … and are one of the most forthright and supportive statements on legal AI from a representative or regulatory body for lawyers. [The English Law Society CEO] highlighted that the key benefits of AI and new legal tech were that lawyers could become more efficient and that … ‘procedural work … can be commoditised’. She added that AI would help to reduce costs. A recent global research study by Deloitte concluded that conventional law firms are no longer meeting today’s business needs. The majority (55 per cent) of participants in the study — legal counsel, CEOs and CFOs — have taken or are considering a significant review of their legal suppliers. The study also points out that purchasers of legal services want better and more relevant technologies, to be used and shared on integrated platforms. If traditional law firms, legal departments and lawyers are to keep up and stay relevant, they must understand the potential of AI and legal technology, embrace and emulate what it does well (i.e. process-based, repeatable and oftentimes extremely time-consuming tasks), and build a legal culture that welcomes its capability while reinforcing the value of the human factor – lawyers exercising independent professional judgment, with a focus on significant, complex, and mission-critical work for their clients. AI and legal technology create value through improved efficiency and productivity, yielding an overall legal product that is measurably better than before. Corporate compliance, due diligence, contract management, and E-discovery are prominent examples of the beneficial utilization of AI and legal technology. But there are numerous ‘use cases’ beyond compliance, due diligence, document automation and contract and patent review, such as legal support (including programs that assist legal teams to navigate processes efficiently in order to make decisions and finalize documents), preparing routine legal documents, answering routine legal questions, mining documents in discovery, legal research, validating and retaining expert witnesses, predicting case outcomes – faster, better, cheaper and becoming more so with the assistance of intelligent software. AI is moving up the “legal vertical”, and “is not just about back-office administration, legal research and know-how – it is also front-end, client facing services and business development”, providing a competitive advantage “as firms that invest in AI can take on more work at competitive rates while maintaining their margin”. AI is quietly solving a big problem that has long plagued the legal profession and legal services delivery: waste and inefficiency. Embracing technology allows law firms and legal departments – and their lawyers – to focus on “complex, higher-value work” while delivering high quality cost effective value to their corporate clients. The key to establishing a viable, competitive, and relevant legal profession in the U.S., UK, Australia, and Canada is innovation — the development and actual adoption of technology-driven platforms and service delivery models are critical, but what is also needed are new ideas about how lawyers are educated and trained, and how they are regulated to maintain professional standards while protecting the public. Al will result in a redeployment of legal resources and free up time for lawyers to perform more mission-critical work for their clients. While AI may offer lawyers leading technology and data-driven tools to provide efficient, quick, and impactful legal counsel to clients, AI is still not a substitute for a lawyer’s own empathy, judgment, … and personal relationship with clients. The legal profession is not invulnerable to AI and legal technology, which is in the process of “profoundly” affecting and changing the way business is conducted in the legal industry – with significant implications to the traditional law firm’s business model, culture, and value proposition. Machine learning is a subset and leading edge of AI, where machines can learn by using algorithms to interpret data to calculate (predict) outcomes and learn from successes and failures. In short, it recognizes patterns. Machine Learning is getting computers to program themselves – “if programming is automation, then machine learning is automating the process of automation”. AI is the science and machine learning is the algorithms that make the machines smarter. The enabler for AI is machine learning. … AI isn’t magic, it’s just maths – albeit really hard maths. AI legal technology is becoming increasingly capable of “prediction” (similar to but not actually “demonstrating judgement”) by leveraging an encyclopaedic base of knowledge and cognitive-computing analytical tools. The category of “tasks” (that make up part of, or all of, a particular job) that are the most easily automated involve narrow and repetitive manipulation or assessment of data. AI and machine learning technology is having an impact in a number of contemporary industries, from financial services to medicine. Law will be no different – after all, a great deal of lawyers’ time is spent on “tedious, repetitive tasks that machines are now fully capable of automating”. The use of algorithms and technology in specific medical diagnostics and legal processes are inevitable, and will “invariably box out human expertise from tasks such as x-ray assessments or certain kinds of legal research”. Not surprisingly, automation opportunities have grown in the legal sector and have been maturing over the last decade. However, there is more the legal profession can do to automate other routine processes using robotics, algorithms and artificial intelligence. Data: x-rays, blood tests, monitoring. Prediction: diagnosis of the problem, such as “if we administer treatment A, then we predict outcome X, but if we administer treatment B, then we predict outcome Y”. Judgment: weighing options – “given your age, lifestyle, and family status, I think you might be best with treatment A; let’s discuss how you feel about the risks and side effects”. Outcome: full recovery with minor side effects. As machine intelligence improves over the next two decades, the value of human prediction skills will likely decrease because machine prediction will provide a cheaper and better substitute for human prediction (i.e. commoditization – recognizing patterns). However, this does not spell doom for human jobs (i.e. in our case lawyers), as many experts suggest. That’s because the value of human judgment skills will increase. Using the language of economics, judgment is a complement to prediction, and therefore when the value of prediction falls the demand and value of “judgment-related skills” rises. Corporate clients will want more human (i.e. lawyer) judgment and recommendations as to what to actually do in a given scenario. Traditional law firms and in-house legal departments that adopt AI and appropriate advanced legal technology will be well positioned to deliver real-time insights, enhanced decision making, and improved efficiency. In such legal organizations, lawyers will be left to do what they are trained for and that technology cannot replicate – to exercise their independent professional judgment, a higher-order order cognitive skill involving critical thinking and creativity – but doing the work quicker, smarter and more accurately using AI and cognitive computing technology. There is clear evidence that points towards robotic automation in many cases being a complement for human labor, rather than a direct substitute. As more mundane tasks are automated, human effort becomes more valuable as it is focused on higher-level tasks, creativity, know-how and thinking. The increased level of automation investment in the legal industry highlights the need to rethink how we approach the skillsets needed in the legal workplace (i.e. technological advances mean that future skill requirements will change), and the importance of working with legal technology and not against it. 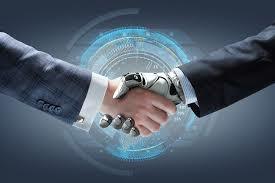 Collaborative legal automation – to be taken advantage of – should be viewed as a major growth potential for the legal industry, leaving AI to handle the process based and routine, and lawyers – properly educated and trained in legal technology – to take on the high end tasks that are better addressed by “thinking” people. 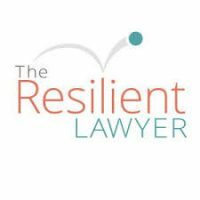 We want to have and develop lawyers as thinkers in the art of law, not simply addressing mundane skills, tasks and recognizing patterns (which is what AI does best) that is a “self-reinforcing path to eliminating lawyers”. To be successful, lawyers must know how to use and leverage AI as part of a law practice, while “fully developing, exploring, and explaining strategies, theories, and outcomes; and keeping clients better informed at every stage of the legal process”. The legal profession is in a period of unprecedented change. The laws of economics apply equally to law firms as to other businesses. Faced with declining demand due to an oversupply of attractive and innovative alternative legal service providers (i.e. in-house legal departments, NewLaw, the Big Four, etc), traditional law firms are experiencing unprecedented competition and downward price pressure. However knowledgeable a lawyer may be in the “law”, clients will not continue to work with lawyers with antiquated processes and technology. 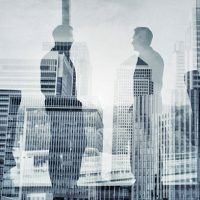 Since the 2008 downturn of the world’s economy, the traditional relationship between lawyers and their clients has shifted – “legal services have been demystified, and legal service consumers are more knowledgeable, sophisticated and connected”. Clients want value and solutions for the legal services they pay for, and are reviewing and questioning the ‘value received’, ‘billing model’ and ‘size of their legal bills’ as provided by traditional legal firms. Although the overall market for legal services is growing, BigLaw and traditional law firms are being left behind. The emergence of a competitive and innovative legal services marketplace is forcing the legal profession in Canada, the U.S., the UK, Australia and other western countries to come to terms with the reality that the traditional law firm – the guild model of designing and delivering monopoly protected services under the rubric of “the practice of law” – may no longer be an acceptable business model for clients demanding alternative legal providers who are innovative, competitive, and cost effective. 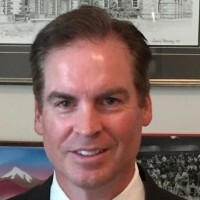 The traditional bespoke “artisan” model of lawyering – legal work provided in a highly personalized or customized manner in respect to complex social, economic and political matters – is being replaced by commoditized legal work, and corporate clients’ relentless pressure toward “more for less” will intensify this trend. Increasingly, in the commercial context, lawyers are not the ‘straw that stirs the drink’, but rather one feature in a broader supply chain. As solutions become more technology and process driven, the best outcomes are going to be achieved by cross-disciplinary approaches. The ‘more for less’ challenge requires that to be successful going forward, legal service providers must deliver appropriate legal services for lower cost – and to do so, they must be competitive, efficient and innovative in respect to appropriate technology, processes, and delivery model. As one legal commentator dryly noted, whenever in doubt, ask “what would a big law firm do, or a traditional law firm, and then do the opposite”. Every law firm has products, we just choose the collective delusion that legal services are unique and non-repeatable actions. Sure, some matters require unique tasks, but every legal matter includes tasks that have been done before, usually many times before. Figure out which products — or service offerings if you will — the firm produces profitably and effectively and commit these to a repeatable series of actions. Repeatability leads to improved profitability and improved quality by reducing variability. The legal profession is on the precipice of a remarkable transformation. Artificial intelligence and legal technology are poised to unleash the next wave of digital disruption, and law firms and in-house legal departments must prepare for it now. The advancements in AI and legal technology has had such a broad impact that every corporate legal department and law firm “needs to have an AI policy”. A failure to do so by senior legal leadership may be seen, at best, to be gravely deficient – somewhere between the intersection of reason and judgment and status quo and fear. No law firm can afford to be playing catch-up as corporate and individual clients embrace innovative initiatives from other legal service providers. At minimum, law firms should be keeping a watchful eye on their competitors and technology companies that are investing in legal AI solutions. The day is not far off when ignorance will carry a steep price. The 2017 Gartner report opined that artificial intelligence and machine learning will enable the commoditization of many functions and turn premium services into low-cost utilities, noting that “by 2022, smart machines and robots may replace highly trained professionals in tasks within medicine, law and IT.” The report concluded that the ability of automation techniques to substitute for particular lawyer tasks means that “what the enterprise previously considered value-added practices will become a utility”. 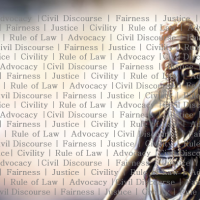 In broad strokes, for the purpose of this article and discussion only, legal work today may be broadly split into two levels: the specialist lawyer or corporate counsel who is focussed on solving complex legal issues and developing legal strategies for clients, and on the other end the service providers who focus on commoditized process-driven work or tasks. Work produced by intelligent software – which doesn’t get tired, bored, or distracted – can be truly error-free. 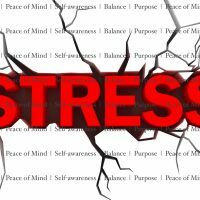 … and … frees up attorneys’ time and mental energy for higher-level work. … to add unique value and focus … to dive into the creative, intellectual analysis that they are trained to do -and that computers can’t replicate, no matter how smart. AI will not replace lawyers, but rather will result in a “redeployment of legal resources to free up time for lawyers to perform mission-critical work for their clients”. AI and legal technology – if done correctly – addresses and performs the “process-based”, repeatable and oftentimes extremely time-consuming tasks better and faster than a lawyer can. In this scenario, law firms and legal departments that successfully integrate legal technology into the lawyer’s practice can provide more competitive and cost effective legal services to their corporate clients,  continuing the overall process of moving the delivery of legal services from purely bespoke towards an efficient delivery model that is appropriately systematized and commoditized. In this manner, law firms can enhance and expand their practice while allowing the lawyers to concentrate on their core business. Unfortunately technology poses for some lawyers and law firms “cultural and capability challenges, the like of which the legal profession has not previously encountered and for which it is ill-prepared”. “The lawyers who should worry about losing their job to a computer are the ones who are not learning how to use computers to do a better job”. Alvin Toffler, the celebrated author of “Future Shock”, presciently forecast how people and institutions of today would contend with the immense strains and opportunities of accelerating (disruptive) change, predicting we would find ourselves living in a state of “future shock,” which he characterized as a paralysis that comes from “trying to absorb too much change in too short a period of time”. Accordingly, it’s not only what you know, it’s what you do with what you know – and the legal profession’s reliance on precedent (where the working practices of some lawyers have changed little over the last century), its fear of failure, and its aversion to change, risk and cost has made it “ripe for disruption” as many traditional law firms and legal departments sit and watch the world move forward. Early evidence suggests that AI can deliver real value to serious adopters and can be a powerful force for disruption. In our survey, early AI adopters that combine strong digital capability with proactive strategies have higher profit margins and expect the performance gap with other firms to widen in the future. Over the next five to ten years, the transformation will be profound, and lead to a tipping point (i.e. when traditional law firms that do not prepare for change are no longer sustainable) which will impact the competitive landscape and role of lawyers in law firms – as well as weak in-house legal departments. In law, medicine, finance, retailing, and manufacturing “the key to winning the race is not to compete against machines but to compete with machines”. So the law firm partner of the future will be the leader of the team, and more than one of the players will be a machine”. For law firms and in-house legal departments to be successful, they must understand and embrace legal delivery by combining the practice of law with appropriate technology, process, and innovation. They must invest in research and innovation and training: you can’t stop progress, but you can harness it – lawyers must partner with multidisciplinary professionals (including IT professionals) and learn what is required for their particular law firm or legal department, as well as the appropriate skills to appropriately exploit the relevant legal technology and AI. The work is less about using big armies of lawyers and more about taking advantage of legal technologies and other innovations to be more efficient. The legal profession has been significantly changing and reshaping since the 2008 global financial crisis. 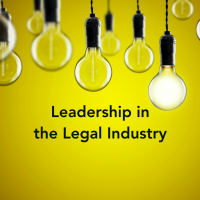 Corporate clients have “increasingly demanded more efficiency, predictability, and cost effectiveness” from the legal profession, and are prepared to engage alternatives to the traditional law firm. Where corporate clients’ requirements are not met, they have reduced the work referred to BigLaw and traditional law firms and found “other more efficient and cost effective ways of meeting their legal needs”. Right now it’s a client’s market, clients want focus and value, they want their law firms to work more efficiently and they want to pay less. … Law firms need to view the profession as a business. 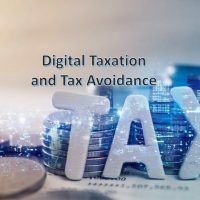 Change is being driven not only by demand from corporate clients and alternative legal service providers, but also by competition from the Big Four accounting firms, which have begun to offer legal services and to use technology to do routine work. The key for corporate clients is a legal services provider that is competitive, efficient, and innovative in respect to appropriate processes, technology, multi-disciplinary partnerships, and delivery model. The Big Four are cost effective and more willing to invest and innovate in respect to training, technology, processes, and delivery model – meaning in most cases more efficient “industrial delivery” and high quality output at a cost effective price point. Artificial intelligence is gaining traction in enterprises, with many large organizations exploring algorithms to automate business processes or building ‘bots’ to field client inquiries. But while some General Counsel and senior law firm leaders see self-learning software as a boon for achieving greater efficiencies, others are leery about entrusting too much of their legal operations to AI. Many lawyers – and other white-collar workers who are part of the knowledge economy – are beginning to experience what manual labourers have in the past when new technology impacted their jobs. Given the improvements we have recently seen in computing and legal technology, lawyers and other professionals are expressing some concern for their long-term futures as legal technology and artificial intelligence (and machine learning) threaten to overtake them. As AI becomes “more intelligent” it is inevitable that legal technologies will move up the legal vertical. Legal technology and artificial intelligence is not going to replace lawyers across the board, however, there will be a significant impact on legal tasks traditionally handled by junior lawyers, entry level lawyers, and articling students in the near term, and the profession more broadly in the mid to long term. Reports such as the Gartner report and Altman Weil’s 2017 Law Firms in Transition Survey – including articles from legal futurist Richard Susskind and other well-known legal commentators – continue the ongoing debate “over the impact of advanced technologies on” BigLaw and traditional law firms. Although there has been, and will continue to be, an impact, from my perspective AI and legal technology will not automate the legal profession out of existence. Far from it. For those lawyers and law firms that embrace legal technology and AI,  and keep their heads up in respect to blockchain and its potential impact on the legal profession (Harvard Business Review listed blockchain as one of the 8 Top Tech Trends to Watch), legal work will become more efficient and cost effective. 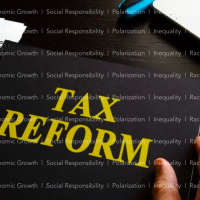 More importantly, these law firms and lawyers will be sought out by corporate clients as they build reputations of adding real value by focusing on complex higher-value work to solve their clients’ legal and business problem. “The ‘pessimists’ say that “machines are becoming increasingly capable” and that “there will be less and less work for humans to do”. There is (and for the foreseeable future, will continue to be) ongoing debate as to whether or not technological advancements inherently create more job market opportunities than they destroy. The most ignorant arguments are black-and-white, and it’s clear from interviewing subject-matter experts that there is no consensus on the future outcomes, economically or technologically. My take on the debate: AI and legal technology will not eliminate the legal profession, law firms or in-house legal departments. While AI “may offer lawyers leading technology and data-driven tools to provide efficient, quick, and impactful legal counsel” to corporate clients, AI is not a substitute for a lawyer’s independent professional judgement (not to mention empathy and personal relationship with clients). However, to be successful, lawyers must work with multidisciplinary professionals and partner with the appropriate legal technology (that will perform all redundant, repeatable and oftentimes extremely time-consuming tasks) to provide what will be highly sought out efficient and cost effective legal services. AI may even “increase” the demand for lawyers and legal professionals “as the technology drives costs down and makes legal services more affordable to greater numbers of people”. Failure to significantly invest in appropriate and strategic technology will undermine the traditional law firm’s business model and ability to sustainably complete in the legal market. Revolutionary technologies such as ‘big data’ and improvements in artificial intelligence offer unparalleled efficiencies in the delivery of certain aspects of legal work in law firms and in-house legal departments alike. Corporate compliance (ie. corporate governance, employment law, cybersecurity, data privacy), due diligence, contract management, and E-discovery are prominent examples of the utilization of AI and legal technology. But there are numerous use cases beyond compliance, due diligence, document automation and contract and patent review, including helping legal teams navigate processes to efficiently make decisions and finalize documents, answering routine legal questions, preparing routine legal documents, mining documents in discovery, legal research, validating and retaining expert witnesses, predicting case outcomes – faster, better, cheaper and becoming more so with the assistance of intelligent software. AI is moving up the “legal vertical”, and “is not just about back-office administration, legal research and know-how – it is also front-end, client facing services and business development”, providing a competitive advantage “as firms that invest in AI can take on more work at competitive rates while maintaining their margin”. Embracing technology will allow lawyers to focus on complex, higher-value work. Rather than fear changes that AI and machine learning will have on legal tasks and the legal profession, this is an opportunity for lawyers to be excited. The profession is going to become more interesting as repetitive tasks shift to legal technology and AI. There will be profound changes due to the pace of technological development and need to offer clients more value for money, but those changes won’t eliminate the need for intelligent lawyers with good judgment, they will just alter their contributions. I’m inclined to think that a lousy lawyer with instantaneous access to all the legal information in the world is still a lousy lawyer. You still need to have the qualities we consider to be outstanding features of good lawyers, which include analysis, empathy, good judgement and all sorts of different things that Watson doesn’t pretend to have. But those are the qualities that are going to mark the lawyers who can work with Watson rather than the lawyers who will be shoved out of the way by Watson. As a result of technology, outsourcing, alternative legal service providers (which includes in-house legal departments), and globalization, even the most ‘blue chip’ BigLaw traditional law firms will not continue to “handle the case” from start to finish (including back office functions). The traditional partnership model was designed for the practice of law, not the efficient cost effective delivery of legal services. In this environment legal commentators are suggesting that “we are entering the golden era of the in-house legal department, and that corporate law departments in the coming decades will be what law firms were in the 80s and 90s”. “Alternatives to the traditional law firm are an important part of the demand equation in 2017, and the largest current challenge in this area comes from clients themselves. Two-thirds of firms report losing business to corporate law department insourcing. 82 percent of firms report they’re losing business to in-house legal departments; in-house counsel report that they meet 73 percent of total demand internally because of cost. … there is a segment of client demand that values Big Law’s sophisticated, high-price, offering. However, this segment is considerably smaller than the available supply. In-house counsel, NewLaw / Alternative Legal Service Providers, the Big Four, etc. – and their utilization of technology and efficient processes – will not replace external traditional law firms entirely; they will, however, severely limit the scope of what current BigLaw and traditional law firm lawyers do in a typical retainer. 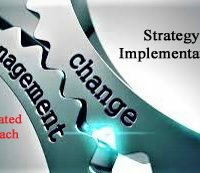 In this respect, traditional law firms have already been forced to accept change I that many of the tasks they had formerly performed (i.e. basic legal research and legal questions, deposition summaries, sifting through production responses, contract modifications, due diligence, etc) are already being conducted by other providers with whom they must now compete and/or collaborate. Going forward, organizations like the Association of Corporate Counsel and Corporate Legal Operations Consortium continue to “have an increasingly loud drum beat for efficiency and innovation in law firms, and its members work in some of the largest companies in the world”. Corporate clients expect law firms to come with a pre-packaged suite of services that include technology, process, and partnering with multidisciplinary professionals (including alternative legal service providers). If they don’t, sophisticated corporate clients and their General Counsel will find appropriate legal service providers that can – and will. This change in the structure of the [legal] industry is largely driven by economic/market factors. Clients want and need different things from their legal service providers. They need predictable cost structures, efficient service delivery, smart deployment of technology, process, and project management — to name a few. Despite the positive technological transformation, many traditional law firms are not appropriately changing in this respect, and there appears to be little true innovation. The biggest obstacle for traditional law firms are their senior partners and the “status quo” – research shows 75% of law firms spend somewhere between 0 and 4% of their total revenue on technology, compared to 5.2% for the average U.S company. “Law firms are slowly changing – more slowly than we think is wise, but changing nonetheless. Clearly not all change efforts are resulting in overnight success. Some efforts require long-term investments that can be a tough sell with partners. Other initiatives may work quickly, but are one-time fixes that can’t be replicated for year-on-year gains. We see firms making only cursory investments where they should be aiming for broader, deeper transformation. And still many partners resist change in all its forms”. “There should be no argument or surprise that the rise of artificial intelligence (AI), cognitive computing and machine learning has the potential to revolutionize law practice. But few in the profession appear to be doing much about it”. Old ways of working are deeply ingrained, especially if there is an underlying distrust of AI and legal technology. One legal commentator has starkly stated that the main inhibitor is because traditional law firm partners “are measured on their billed hours; technology reduces billed hours; it’s not in a partner’s interest to sacrifice billed hours today for the firm’s enhanced competitiveness tomorrow”. Technology is affecting the way a number of sectors operate, having significant influence primarily on cost and time efficiency, but the legal sector is still reluctant to change. Although firms have started to invest in technological advancement, it has mainly been to help them maintain their profit margins. Firms have not truly attempted to understand what clients want to achieve through the use of technology, nor have they made much of an effort to pass on the savings to their clients. There is no doubt that a smattering of law firms and alternative legal services providers are genuinely making an attempt to push the boundaries, but the legal sector’s paradigm shift is still a long way off. In this environment, Altman Weil’s 2017 survey confirms that “decreasing demand for legal services is endemic in the profession. Fifty-two percent of firms report their equity partners are not sufficiently busy, and 62 percent of firms said their non-equity partners are not busy enough. Lawyers other than partners and associates are not busy enough in 43 percent of law firms. And in 25 percent of firms, even associates don’t have full workloads. Overall 61 percent of respondents said overcapacity is diluting firm profitability”. Our recommendation: a strategic focus on AI and legal technology is an absolute necessity at the firm and practice group levels. Dennis Garcia’s article on preparing for AI in the legal profession, and Gabriel Teninbaum’s recent paper on eleven principles to encourage law firm innovation, is a good place for any law firm or legal department to start. Only 7.5 percent of law firms have begun to make use of legal AI tools, and although 29% are beginning to explore the options, 64 percent are not doing anything – and appear to be unaware of what is going on in this area. Protecting long-term sustainability and profitability requires law firms to focus on clients, specifically better service delivery and value. As noted by one commentator, “the raison d’être for any professional services firm is service to clients. Its profitability is a function of the extent a firm does this successfully and sustainably. Law firm management needs to think more about their clients. Right now, they expend more energy on boosting profitability with inward measures than they do on client service. That cannot be sustainable”. A successful AI and legal technology program requires law firms and legal departments to address many elements of a digital and analytics transformation: identify the business case, set up the right data ecosystem, build or buy appropriate AI tools, and adapt workflow processes, capabilities, and culture. A few law firms are experimenting with AI. Say “AI” in a law firm press release and you will get media ink right away. But like any organization, a law firm should have a use case for AI. Yet, from what I see, most law firms using AI have flimsy to non-existent use cases. Many firms replace use case definition with grafting. Technology is increasingly a driver of disruption and value for those able to embrace the opportunity. More than ever, legal leaders need to develop a strong understanding of and perspective on technology. They need to survey new innovations, forecast their pace, gauge the implications, and adopt new tools and strategy to change course as the legal profession shifts, not after it’s shifted. Becoming more technologically minded takes discipline and focus, a commitment to ongoing learning and discovery, and actually identifying tech experts with the ability to demystify and implement. Whatever the strategy, the goal must be to develop a healthy appetite for technology and actually figure out how to evolve the traditional law firm (or in-house legal department) to make the most of the opportunity. It is useful for a legal leader to reframe their perspective – assumptions are a luxury true leaders cannot afford. One BigLaw leader’s vision of the modern lawyer ties in with their long-term strategy: “multi-talented, not just with legal skills but with people skills … smart at analysing data, comfortable with technology … they embrace innovation and are not afraid of change”. It is the leader’s job to make sure everyone understands why the business exists. Leaders aren’t required to come up with a great vision, but they are required to serve a great vision. Leaders who do not raise high a great purpose are throttling the contributions of the people who work for them. People – and lawyers are people – desire purpose. An organization’s vision should provide a compelling reason for employees to care. If leadership prioritizes profit “above all else” thinking, this can become “short term and you can toxify your culture” – the law firm must be about more than a partner or partners, but a whole “one team” infrastructure. There is a value to steady, thoughtful leadership, of accountability, and the value of working and collaborating across networks and with different professionals on common problems and solutions that AI may address, “perhaps for commoditised and/or high end complex due diligence work or a bespoke niche offering” – the “AI Armageddon is only a puff away”. AI will at some point reach the tipping point to substantially disrupt the traditional law firm, and the legal industry in “Uber-like disruptions”. Traditional law firms are going to face a “Kodak moment” if they don’t take steps to avoid it, meaning they will become irrelevant if they can’t keep up with rapidly developing AI and legal technologies. As technologies develop, different ways of conducting legal services are going to be created, and even though these can lead to better efficiency they can also give traditional law firms an existential crisis. AI and legal technology may provide a massive competitive advantage and redefine the legal profession and delivery of legal services. 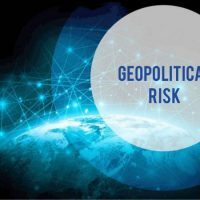 It is “not a matter of whether you should do this or not”, but rather “a matter of whether” traditional law firms will “adapt quickly enough to survive the inevitable storm that is coming”. A senior lawyer in a 400-lawyer firm told me a couple months ago that he doesn’t expect his firm to survive, at least in its present form. “In-house counsel may get fired for not using Cravath, but not for failing to use my firm,” he explained in making the point that rates are going down, in-house counsel are bringing efficiencies with technology, and corporations are bringing more work in-house. Client demands and external pressures will primarily determine business strategies. The skills that are going to be required of future lawyers will be quite different from the ones that served previous generations: “a lot of things you have been able to do up to this point won’t be as important. What attributes are going to be important? Insight, ingenuity, counsel, judgment, leadership, creativity, and risk assessment – being able to actually assess risks rather than default blocking or negating risks. Are law schools teaching these elements? No. Are bar admission courses testing for them? No. Are law firms training for them? For the most part, not really.” There are some exceptions, but not enough. 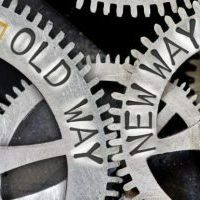 Traditional legal leaders and lawyers may resist this transformation out of fear that new technologies might change how they or their law firms practice law (or even that their jobs may become obsolete). Strong client-centric members of the legal profession will embrace AI and legal technology, and where implemented appropriately, enjoy the benefits associated with high quality legal services at a cost effective price point. Those [Law] firms that are able to adjust to the new market realities, not by putting band-aids on the old models, but rather by engaging in a thoughtful review and (where necessary) redesign of their approaches to client service, pricing, legal work processes, talent management, and overall structure will enjoy an enormous competitive advantage. Those that do not will face an increasingly uncertain future. Technology is transforming the legal services industry, but it will not make the independent professional judgment and expertise of lawyers obsolete. It will enable those who adopt, employ and leverage it to provide better and more cost-effective legal services and representation for their clients. Legal leaders and lawyers who embrace appropriate AI legal technology today will reap those benefits – and have a competitive advantage over those who do not. “Call to the Bar” definition: The official moment that a lawyer is sworn or entered into a law society or state bar or court and thereafter licensed to practice law in that jurisdiction. The call to the bar is a legal term of art in most common law jurisdictions where lawyers must be qualified to be allowed to present in court on behalf of another party. A licensed lawyer is said to be “called to the bar” or to have received a “call to the bar”. Common law jurisdictions include Australia, England and Wales, New Zealand, Canada, Ireland, Hong Kong, India, the United States, among others. Mark Cohen, The New Delivery Paradigm and Tools of the Legal Trade, Forbes, June 19, 2017. But see, Thomas Connelly, Why the ascendence of AI can benefit young lawyers, Legal Cheek.com, March 7, 2017. Stephanie Francis Ward, Richard Susskind sees ‘rosy future’ for law – if it embraces technology (podcast), ABA Journal.com, July 12, 2017. Note: Professor Richard Susskind has worked on technology for lawyers since 1981. He holds professorships at Oxford, London, and Strathclyde universities, and he has been strategy and technology adviser to the Lord Chief Justice of England since 1998. He has written 10 books, including The Future of the Professions, Tomorrow’s Lawyers and The End of Lawyers? In 2000, Queen Elizabeth awarded Richard Susskind an OBE (an Officer of the Order of the British Empire) for services to IT in the law and to the administration of justice. Dan Mangan, Lawyers could be the next profession to be replaced by computers, CNBC.com, February 17, 2017. Drew Hasselback, Lawyers not embracing opportunities from technology, Deloitte reports finds, Financial Post, June 6, 2017; Robert Ambrogi, Survey: Just 7.5% of Firms Using AI, But Half Pursuing Other Innovations, Law Sites, June 7, 2017; 2017 Law Firms in Transition: An Altman Weil Flash Survey, Altamanweil.com; William Vogeler, Law Firms Resist Changing Business Model, Despite Growing Competition, FindLaw.com, July 18, 2017; Paula King, Law Firms, legal departments failing to embrace innovation, Deloitte survey finds, The Lawyers Daily, June 19, 2017; Canadian legal landscape 2017: Issues and trends facing Canadian in-house counsel and law firms, Deloitte, 2017; William Vogeler, Are Law Firms Embracing AI? Not So Much, Survey Concludes, Technologist, FindLaw.com, July 11, 2017. Carla Del Bove, Why Understanding Economics is the Key to Law Firm Profitability, Business of Law Blog.com, November 9, 2016. Re developing environment to encourage law firm innovation: See, Gabriel Teninbaum, White Paper – Collaboration, Communication & Data: 11 Principles of Law Firm Innovation, Thomson Reuters, Legal Executive Institute, June 13, 2017. Mitch Kowalski, McGill study reveals the ‘illusion’ of innovation at Canadian law firms, National Post, January 26, 2017; Aly R Haji, The Illusion of Innovation at Canadian Law Firms, McGill University (Faculty of Management, Supervised by Prof. Karl Moore, mentorship support and guidance from Mike Ross and strategy consultant Juniper), jnper.com, January 2017. 2017 Law Firms in Transition: An Altman Weil Flash Survey, Altamanweil.com; Commission on the Future of Legal Services, Report on the Future of Legal Services in the United States, American Bar Association, 2016; Kandy Williams, Is the Legal Profession on the Cusp of Uber-Like Disruption? The ABA Commission’s Report on the Future of Legal Services in the U.S., Montage Legal.com, October 25, 2016. – Noting the legal profession has not “fully harnessed the power of technology to improve the delivery of legal services”; William Vogeler, Are Law Firms Embracing AI? Not So Much, Survey Concludes, Technologist, FindLaw.com, July 11, 2017. ‘Embrace AI and Legal Tech’ – English Law Soc Head Urges World’s Lawyers, Artificial Lawyer, September 23, 2016. Also see, Simon Thompson, Law firms slow to embrace ‘new’ technology due to lack of desire and motivation to change, LexisNexis.co.uk, January 7, 2016. Gazette Newsdesk, Law Society chief executive resigns, Law Society Gazette (UK), January 3, 2017. Mark Cohen, The Legal Delivery Model: A Post-Cubist Paradigm, Legal Mosaic, August 14, 2014. Dennis Garcia, Preparing for Artificial Intelligence in the Legal Profession, LexisNexis.com, June 7, 2017. Joanna Goodman, Firms must embrace AI or risk being left behind, Raconteur.net, June 29, 2016. CBA Legal Futures Initiative, Futures: Transforming the Delivery of Legal Services in Canada, Canadian Bar Association, 2014, page 6. Helder Santos, Digital transformation and law firm success, Linkedin, July 11, 2017. See, Bernard Marr, Machine Learning, Artificial Intelligence – and the Future of Accounting, Forbes, July 7, 2017. Ken Grady, AI and the Practice of Law in 5 Minutes, Algorithmic Society, July 19, 2017. Jason Brownlee, Basic Concepts in Machine Learning, Machine Learning Mastery, December 25, 2015. Lee Bell, Machine Learning versus AI: what’s the difference, Wired, December 1, 2016. But see, Manju Manglani, Editor, Artificial intelligence to radically transform the role of lawyers, Solicitors Journal, October 23, 2015. Daniel Faggella, The Next 10 Years of Automation and What It Might Mean for the Job Market, Techcrunch.com, October 8, 2015. Luminance, Artificial Intelligence for Legal Contract Review, Law Technology Today, March 10, 2017. Ajay Agrawal, Joshua Gans, Avi Goldfarb, The Simple Economics of Machine Intelligence, Harvard Business Review, November 17, 2016. Professor Edward Hess, Learn or Die: Using Science to Build a Leading-Edge Organization, Columbia Business School Publishing, 2014; Why a Big Ego Could Be Your Downfall, NTCA.org, June 2015. New Study Shows U.S. is World Leader in Robotics Automation – with $732 Billion of Robots; Larger than Economy of Sweden, Business Wire, March 15, 2017. Developing Legal Talent: Stepping into the future law firm, Deloitte, February 2016; Deloitte Insight: Over 100,000 legal roles to be automated, Legal Technology.com, March 16, 2016. Ken Grady, How to Insult AI and Recognize Its Strength, All in One Breath, Algorithmic Society, July 4, 2017. Avaneesh Marwaha, Seven Benefits of Artificial Intelligence for Law Firms, Law Technology Today, July 13, 2017. Timothy Corcoran, Ten Things I’d Do Differently as a Law Firm CEO, Corcoran’s Business of Law, March 28, 2013. Also see, John Hyde, Winner takes all: mid-tier firms struggle to turn profits, Law Society Gazette (UK), December 19, 2016. Clayton Christensen, Disruptive Innovation, ClaytonChristensen.com, October 19, 2015; Clayton M. Christensen, Michael E. Raynor, Rory McDonald, What is Disruptive Innovation?, Harvard Business Review, December 2015; Richard Susskind, Tomorrow’s Lawyers: An Introduction to Your Future, 2013; Ray Worthy Campbell, ‘Rethinking Regulation and Innovation in the U.S. Legal Services Market’ (2012), 9 (1) NYU J L & Bus 1, 11; International Bar Association, ‘Times are a-changin’: disruptive innovation and the legal profession, IBA Legal Policy & Research Unit, May 2016; Canadian Bar Association, Futures: Transforming the Delivery of Legal Services in Canada, August 2014; Law Society of England and Wales, The Future of Legal Services, January 2016; ABA Commission on the Future of Legal Services, Report on the Future of Legal Services in the United States, August 2016. Legal departments do not trust law firms on billing, Global Legal Post, July 14, 2017. Gabe Friedman, Report to Law Firms: 2017 Ain’t Looking Great, Bloomberg Law, December 13, 2016. Richard Tromans, Artificial Lawyer is 1 Year Old: The New Era of Legal AI, Artificial Lawyer, June 26, 2017. Benjamin L. Barton, Glass Half Full: The Decline and Rebirth of the Legal Profession, 2015. Jason Moyse and Aron Solomon, Remaking the law firm ecosystem, Canadian Lawyer, July 4, 2016.
 International Bar Association, ‘Times are a-changin’: disruptive innovation and the legal profession, IBA Legal Policy & Research Unit, May 2016; Beverley McLachlin, Legal Profession in the 21st Century: Remarks of the Right Honourable Beverley McLachlin, P.C. Chief Justice of Canada (2015 Canadian Bar Association Plenary), Supreme Court of Canada, August 14, 2015; George Beaton and Imme Kaschner, Remaking Law Firms: Why and How, June 7, 2016; Richard Susskind, Tomorrow’s Lawyers: An Introduction to Your Future, 2013; Canadian Bar Association, Futures: Transforming the Delivery of Legal Services in Canada, August 2014; Law Society of England and Wales, The Future of Legal Services, January 2016; ABA Commission on the Future of Legal Services, Report on the Future of Legal Services in the United States, August 2016. Matthew Burgess, How to innovate: Think what BigLaw would do and do the opposite, LegalTrek, August 2016. Timothy Corcoran, Ten Things I’d Do Differently as a Law Firm CEO, Corcoran’s Business of Law, March 28, 2013. Zachary Quinto quotes, Brainy Quote.com – actual quote: “We are at the precipice of great transformation within our culture and government”. Jacques Bughin, etal, Artificial Intelligence, The Next Digital Frontier: Discussion Paper, McKinsey & Company, June 2017; Julie Sobowale, How artificial intelligence is transforming the legal profession, ABA Journal, April 1, 2016. John Stackhouse, Can humans save AI? Only if we act now, Linkedin, July 20, 2017. 2017 Law Firms in Transition: An Altman Weil Flash Survey, Altamanweil.com. Stephen Prentice, Prepare for When AI Turns Skilled Practices into Utilities, Gartner.com, March 8, 2017; J. Stephen Poor, Automation to Squeeze the ‘Muddy Middle’ of BigLaw (Perspective), Bloomberg Law, June 28, 2017. Sriram Chakravarthi, Robotic Process Automation comes to the legal industry, Linkedin, July 5, 2017. Manju Manglani, Editor, Artificial intelligence to radically transform the role of lawyers, Solicitors Journal, October 23, 2015. Also see, Jaap Bosman, Do you suffer from ‘commoditization blindness’? If others can do your work for less, open your eyes, ABA Journal, June 8, 2017; Richard Susskind, Tomorrow’s Lawyers: An Introduction to Your Future, 2013; Richard Susskind, From Bespoke to Commodity (Legal Technology Journal, 2006), Alexandra Varney, Firmly Outside the Box, Harvard Law Today, November 24, 2014; International Bar Association, ‘Times are a-changin’: disruptive innovation and the legal profession, IBA Legal Policy & Research Unit, May 2016; Shannon L Spangler, ‘Disruptive Innovation in the Legal Services Market: Is Real Change Coming to the Business of Law, or Will the Status Quo Reign?’, American Bar Association Annual Meeting, Boston, August 7–11, 2014. Cathy Engelbert, Job-Stealing Robots? Millennials See Hope, Fear in Automation, Linkedin, March 21, 2017. Dr. George Beaton, 10 reasons BigLaw managing partners are not sleeping very well, Beaton Capital, August 15, 2015. Jacques Bughin, etal, Artificial Intelligence, The Next Digital Frontier: Discussion Paper, McKinsey & Company, June 2017. Steve Lohr, AI is Doing Legal Work. But It Won’t Replace Lawyers, Yet, New York Times, March 19, 2017; Peter Nussey, How much of what lawyers do can be automated? A look at new research, Legal IT Insider, Legal Technology.com, January 22, 2016; William Vogeler, Automation Replaces About 23 Percent of Lawyer’s Work, Technologist, Findlaw.com, March 27, 2017; Kingsley Martin, Artificial Intelligence: How will it affect legal practice – and when?, Thomson Reuters, April 27, 2016. For example, see: Tom Lodewyke, UTS launches legal tech degree in Australian first, Lawyers Weekly, lawyersweekly.com.au, July 13, 2017. Jenny Soffel, What are the 21st-century skills every student needs?, World Economic Forum, March 10, 2016. Olga Mack and Katia Bloom, The Lawyers of Tomorrow: 5 Trends Changing the Industry, ACC Docket, June 9, 2017. Keith Schneider, Alvin Toffler, Author of ‘Future Shock’, Dies at 87, New York Times, June 29, 2016. David Harder, The Wake-Up Call: Why Our Country Is At Each Other’s Throats, Linkedin, May 6, 2017. The Business of Next, Teradata Partners Conference (Anaheim, USA), Partners.teradat.com, October 22-26 – citing, Peter Mikkelsen, Executive Vice President, Teradata International Organization. Jane Croft, Artificial intelligence disrupting the business of law, Financial Times, October 5, 2016; Jonathan Marciano, There is one danger threatening LegalTech’s future. But here is the antidote, Lawgeex.com, July 6, 2017; Panel Discussion, Law and Technology: How will artificial intelligence affect the legal profession in the next decade?, Queensu.ca; Artificial intelligence is poised to unleash the next wave of digital disruption, and companies should prepare for it now (“many firms say they are uncertain of the business case or return on investment”). “Counsel on Call is one example of legal managed services, but there are many others, including Axiom, Elevate, Pangea3 and UnitedLex. Legal managed services providers design, build and staff process-driven systems that efficiently complete legal work. The work’s content often is sophisticated and important to the client’s long-term commercial interests. Yet the volume is too large to be performed cost-effectively by law firm associates and too narrow and repetitive to warrant hiring more in-house lawyers. Eric Sigurdson, The Global Corporate Legal Market: Rise of the Big Four Accounting Firms as an alternative legal services delivery model – from ‘multidisciplinary’ professional service firms to ‘globally integrated’ business solution providers, Sigurdson Post, March 27, 2017. Jennifer Williams-Alvarez, Legal Departments Keep Huge Percentage of Work In-House. Here’s Why, Corporate Counsel, June 26, 2017 (“Nearly 75 percent of work for legal departments is handled internally, according to a recent survey report from ALM Intelligence and Morrison & Foerster.”); Thomson Reuters Legal Department In-Sourcing and Efficiency Report, Thomson Reuters.com, 2015; Jennifer Roberts, In-House Legal Departments Continue to Adapt, According to New Thomson Reuters Report, Legal Executive Institute.com, October 14, 2015. Nicola Stott, Law firms need to take alternative service providers seriously – here’s why, Linkedin, June 14, 2017. Also see, Legal departments do not trust law firms on billing, Global Legal Post, July 14, 2017. 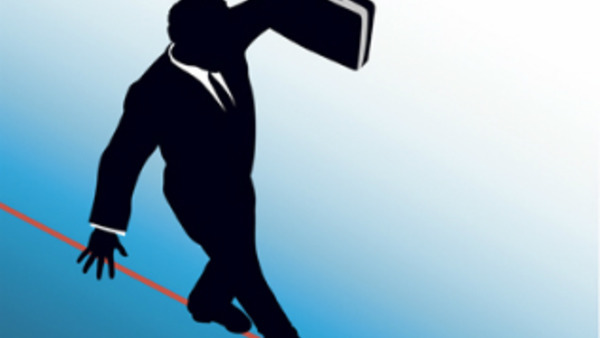 Developing Legal Talent: Stepping into the future law firm, Deloitte, February 2016. Erik Brynjolfsson and Andrew McAfee, Race Against the Machine: How the Digital Revolution Is Accelerating Innovation, Driving Productivity, and Irreversibly Transforming Employment and the Economy, Digital Frontier Press, Mass., 2011. Steve Lohr, AI is Doing Legal Work. But It Won’t Replace Lawyers, Yet, New York Times, March 19, 2017. Mark Cohen, Are Law Firms Becoming Obsolete, Forbes, June 12, 2017. Developing a strong data analytics team to track client and firm predictive data. Created a training-tool app that the firm sells to clients needing to conduct large-scale legal trainings. Giving permission to people to take risks and make mistakes to test out alternative fee arrangements. Increased client collaboration and share technology to improve coordination. Moved to non-lawyer management of practice groups to improve lawyer efficiency and better utilize resources. Stephen Howeg, Why Robots Should Inspire Hope, Not Fear, Forbes, June 24, 2017. D. Marsden, Simon Michie: Why Legal Firms Must Embrace Technology, Lawyer Monthly, October 7, 2016. Commission on the Future of Legal Services, Report on the Future of Legal Services in the United States, American Bar Association, 2016; Kandy Williams, Is the Legal Profession on the Cusp of Uber-Like Disruption? The ABA Commission’s Report on the Future of Legal Services in the U.S., Montage Legal.com, October 25, 2016. Jacques Bughin, etal, Artificial Intelligence, The Next Digital Frontier: Discussion Paper, McKinsey & Company, June 2017; Helder Santos, Digital transformation and law firm success, Linkedin, July 11, 2017. Carla Del Bove, Why Understanding Economics is the Key to Law Firm Profitability, Business of Law Blog.com, November 9, 2016. Helder Santos, Digital transformation and law firm success, Linkedin, July 11, 2017. Also see, Ken Grady, What to Do After Deciding To Make Your Firm Tech Savvy: How to find the technology and AI path, Algorithmic Society, July 26, 2017. Commission on the Future of Legal Services, Report on the Future of Legal Services in the United States, American Bar Association, 2016; Kandy Williams, Is the Legal Profession on the Cusp of Uber-Like Disruption? The ABA Commission’s Report on the Future of Legal Services in the U.S., Montage Legal.com, October 25, 2016. Also see, Legal departments do not trust law firms on billing, Global Legal Post, July 14, 2017. Also see, Helder Santos, Digital transformation and law firm success, Linkedin, July 11, 2017. Jane Croft, Artificial intelligence disrupting the business of law, Financial Times, October 5, 2016. See, Eric Sigurdson, The Global Corporate Legal Market: Rise of the Big Four Accounting Firms as an alternative legal services delivery model – from ‘multidisciplinary’ professional service firms to ‘globally integrated’ business solution providers, Sigurdson Post, March 27, 2017. CBA Legal Futures Initiative, Futures: Transforming the Delivery of Legal Services in Canada, Canadian Bar Association, 2014, page 26-27 – “[S]tudies show that most lawyers are by nature conservative and risk-averse. But attitudes vary with personal circumstances. Age, gender, experience, income, and perceived competitive advantage are only some of the factors segmenting lawyers’ attitudes towards change. Lawyers or law firms may not be motivated to innovate because of their current success (“if it ain’t broke, why fix it?”). They believe it is not worth the effort, time, and cost to make necessary adjustments. In many cases, there is a lack of entrepreneurship. High fees, comfortable incomes, and an aging demographic reduce the motivation to improve, invest, or innovate”. Also see, Eric Sigurdson, A Way Forward: Disruptive Innovation, the Legal Profession, and the Client – what is the appropriate legal services delivery model in the ‘new normal’, Sigurdson Post, November 15, 2016. Ron Friedman, Will all lawyers work for the Big 4 by 2026?, Prism Legal, October 2, 2016 – legal commentator suggests that “decades of audit price pressure taught the Big 4 how to deliver at lower cost”. Ron Friedman, Will all lawyers work for the Big 4 by 2026?, Prism Legal, October 2, 2016. Clint Boulton, The hidden risk of blind trust in AI’s ‘black box’, CIO.com, July 6, 2017. Manju Manglani, Editor, Artificial intelligence to radically transform the role of lawyers, Solicitors Journal, October 23, 2015. Also see, Jaap Bosman, Do you suffer from ‘commoditization blindness’? If others can do your work for less, open your eyes, ABA Journal, June 8, 2017. Sterling Miller, Ten Things: 10 Essential Legal Department Issues for 2017, April 28, 2017. Chrissie Lightfoot, Come the AI legal armageddon, what’s in it for me?, Linkedin, October 28, 2015. Contra, Thomas Connelly, Why the ascendence of AI can benefit young lawyers, Legal Cheek.com, March 7, 2017. Richard Susskind and Daniel Susskind, The Future of the Professions: How Technology Will Transform the Work of Human Experts, 2015. J. Stephen Poor, Automation to Squeeze the ‘Muddy Middle’ of BigLaw (Perspective), Bloomberg Law, June 28, 2017. ROSS Intelligence makes a legal research platform based on IBM’s cognitive computing system Watson, which is being used by law firms (world’s biggest law firms, to medium, small and solo), law schools and bar associations. Reportedly saving 20 to 30 hours of legal research per case for clients. TermFrame guides lawyers through different types of work while connecting them to relevant templates, documents and precedents at the right moments. Linklaters’ Verifi program, which can sift through 14 UK and European regulatory registers to check client names for banks and process thousands of names overnight. A junior lawyer would take an average of 12 minutes to search each customer name. MarginMatrix codifies the law in various jurisdictions and automates drafting of certain documents. The time to draft a document will fall from three hours by a lawyer to three minutes. Using AI for discovery exercises in litigation, which can involve laborious hours of document word searches. Technology identifies relevant word concepts and clusters of words in – in one case over 29 million – documents. This led to lawyers receiving a smaller subset of data where the program “machine-learnt” through predictive coding according to how it was classified. ThoughtRiver software uses AI to scan and interpret information from all written contracts used in commercial risk assessments and presents it in a central online dashboard that enables clients to assess risk more easily. Due diligence, contract review, technology assisted review – see: Robert Morley, Dispelling the AI myths in the legal sector, IT Pro Portal.com, February 1, 2017; Jane Croft, The relentless advance of the super-intelligent attorney, Financial Times, December 5, 2016; Dil-veer Kang, How can lawyers intelligently use AI?, Lexology, October 20, 2016; Nick Hilborne, Baker McKenzie to introduce AI-based due diligence technology as part of innovation drive, Legal Futures, February 7, 2017; Robert Ambrogi, A Self-Service AI Robot For Law Firms? That’s What this new product promises, LawSites, September 8, 2016; ‘Embrace AI and Legal Tech’ – English Law Soc Head Urges World’s Lawyers, Artificial Lawyer, September 23, 2016. “If you represent clients in blockchain-affected industries (and I’m hard-pressed to name an industry that isn’t), you become an even greater resource as trusted adviser by understanding blockchain within the context of your client’s business. But see: Aengus Collins, Four reasons to question the hype around blockchain, World Economic Forum, July 10, 2017. Brian Heater, Technology is killing jobs, and only technology can save them, Tech Crunch, March 26, 2017. Manju Manglani, Editor, Artificial intelligence to radically transform the role of lawyers, Solicitors Journal, October 23, 2015.
 International Bar Association, ‘Times are a-changin’: disruptive innovation and the legal profession, IBA Legal Policy & Research Unit, May 2016; Aebra Coe, Artificial Intelligence Has BigLaw Rethinking Associate Hiring, Law360, November 2, 2016; Mark Cohen, How Artificial Intelligence Will Transform The Delivery of Legal Services, Forbes, September 6, 2016; Greg Wildisen, Is artificial intelligence the key to unlocking innovation in your law firm?, Legal Voice, November 12, 2015; Sean Captain, How AI and Crowdsourcing Are Remaking the Legal Profession, May 11, 2016; Gwynne Monahan, 5 Questions on Artificial Intelligence, Law Technology Today, August 6, 2015; Zach Abramowitz, Do Robots Make Better Lawyers? A Conversation About Law and Artificial Intelligence, Above the Law, June 13, 2016; Technology for Law Firm Leaders: Services as Products, Neota Logic; Julie Sobowale, How artificial intelligence is transforming the legal profession, ABA Journal, April 1, 2016. Jose Tabuena, Compliance monitoring and artificial intelligence, Compliance Week, October 25, 2016; Jeremy Kahn, Startup Uses A.I. to Speed Up Financial Compliance, Bloomberg, October 13, 2016. Ben Kepes, eBrevia Applies Machine Learning to Contract Review, Forbes, February 20, 2015; Nicole Black, How AI Will Change the Practice of Law, Law Technology Today, November 1, 2016. (eBrevia; LawGeex). Ben Kepes, eBrevia Applies Machine Learning to Contract Review, Forbes, February 20, 2015; Zach Abramowitz, Free Contract Review Could Be A Gamechanger, Above the Law, April 21, 2016; Nicole Black, How AI Will Change the Practice of Law, Law Technology Today, November 1, 2016. (eBrevia; LawGeex); Seal Version (contract discovery and analytics platform); Michael Mills, Artificial Intelligence in Law: The State of Play 2016, Thomson Reuters (neotalogic.com), 2016 – Electronic discovery (Recommind, Equivio, Content Analyst), Outcome Prediction (Lex Machina, LexPredict), Self-service compliance (Neota Logic, ComplianceHR, Global Risk Solutions), Contract Analysis (Kira Systems, KM Standards, RAVN, Seal Software); Stephen Rynkiewicz, Paralegal robot reviews patent documents, ABA Journal, July 17, 2017. Jane Croft, Artificial intelligence disrupting the business of law, Financial Times, October 5, 2016. Luke Dormehl, Free Robot Lawyer Can Now Help You With 1,000 Different Legal Scenarios, Digital Trends, July 13, 2017; Michael Mills, Artificial Intelligence in Law: The State of Play 2016, Thomson Reuters (neotalogic.com), 2016 – Electronic discovery (Recommind, Equivio, Content Analyst), Outcome Prediction (Lex Machina, LexPredict), Self-service compliance (Neota Logic, ComplianceHR, Global Risk Solutions), Contract Analysis (Kira Systems, KM Standards, RAVN, Seal Software); Julie Sobowale, How artificial intelligence is transforming the legal profession, ABA Journal, April 1, 2016; Legal chatbot expands to cover 1000 areas of law, Global Legal Post, July 18, 2017. Luke Dormehl, Free Robot Lawyer Can Now Help You With 1,000 Different Legal Scenarios, Digital Trends, July 13, 2017; Jane Croft, Artificial intelligence disrupting the business of law, Financial Times, October 5, 2016. Maura Grossman and Gordon Cormack, Technology Assisted Review in E-Discovery Can be more Effective and More Efficient than Exhaustive Manual Review, 17 Richmond Journal of Law and Technology 3, 2011; William D. Henderson, More Complex than Greed, The American Lawyer (AxiomLaw.com), May 29, 2012 – for example: Novus Law, a legal services firm that specializes in electronic discovery, which is the fact-gathering phase that precedes trial in every litigation matter. The primary product of Novus Law, which was founded by two MBA non-lawyers, is work process that has engineered or taken out much of the time and drudgery that would otherwise fall to law firm associates. Novus Law prices e-discovery exclusively on a fixed-fee basis. And on every dimension—cost, quality, and time delivery—appears to be objectively better than Big Law. Nicole Black, Legal Research and AI: Looking Toward the Future, Above the Law, July 27, 2017; Anthony Sills, ROSS and Watson tackle the law, IBM.com, January 14, 2016; Drew Hasselback, Meet ‘ROSS’, the bankruptcy robo-lawyer employed by some of the world’s largest firms, National Post, August 9, 2016. Gabrielle Orum Hernandez, Expert Witness Testimony Gets a Big Dose of Big Data, Legal Tech News, July 25, 2017. Debra Cassens Weiss, Artificial intelligence predicted case outcomes with 79% accuracy by analyzing fact portrayal, ABA Journal, October 25, 2016; Chris Nott, The future of AI and litigation funding, Capital Law, July 19, 2017; Danny Crichton, With Judge Analytics, Ravel Law Starts to Judge the Judges, Tech Crunch, April 16, 2016; Brian Benton, Lex Machina: ‘law machine’ helps lawyers predict case outcomes, Palo Alto Patch, July 30, 2012; Rich Steeves, Lex Machina uses big data, legal analytics tools to help IP attorneys, Inside Counsel, October 29, 2013; Nicole Black, How AI Will Change the Practice of Law, Law Technology Today, November 1, 2016. Joanna Goodman, Firms must embrace AI or risk being left behind, Raconteur.net, June 29, 2016. Also see, Dennis Garcia, Preparing for Artificial Intelligence in the Legal Profession, LexisNexis.com, June 7, 2017. Panel Discussion, Law and Technology: How will artificial intelligence affect the legal profession in the next decade?, Queensu.ca – comments by panelist Jordan Furlong. Mark Cohen, Are Law Firms Becoming Obsolete?, Forbes, June 12, 2017. 2017 Law Firms in Transition: An Altman Weil Flash Survey, Altamanweil.com. Also see, J. Stephen Poor, Automation to Squeeze the ‘Muddy Middle’ of BigLaw (Perspective), Bloomberg Law, June 28, 2017. Also see: D. Casey Flaherty, Why Now? The Rise of Alternative Legal Services Providers, 3 Geeks and a Law Blog, June 4, 2017; Mark Cohen, Legal Buyers Taking Charge, ‘The GC Thought Leaders Experiment’ and Beyond, Forbes, July 17, 2017 (“73% of corporate legal work is now performed in-house with another 2%–and growing—sourced to legal service providers.”); Jennifer Williams-Alvarez, Legal Departments Keep Huge Percentage of Work In-House. Here’s Why, Corporate Counsel, June 26, 2017 (“Legal departments keep [a] huge percentage of work in-house,” and article notes that alternative legal services providers (ALSPs), including managed legal services, are set to take a growing share of that work in the coming years); William D. Henderson, How managed services are building systems for corporate legal work, ABA Journal, June 1, 2017 (“Counsel on Call is one example of legal managed services, but there are many others, including Axiom, Elevate, Pangea3 and UnitedLex. Legal managed services providers design, build and staff process-driven systems that efficiently complete legal work. E-discovery is a prominent example of the managed services business model. But the number of additional use cases is growing and now includes corporate due diligence; internal investigations; contract management; ….”). Hugh A. Simons, Are Law Firms Too Sophisticated for Their Own Good?, American Lawyer, and Legal Tech News, July 12, 2017. Gina Passarella, Talking Business of Law: The Dance of Change, The American Lawyer, June 27, 2017. Jonathan Marciano, There is one danger threatening LegalTech’s future. But here is the antidote, Lawgeex.com, July 6, 2017. 2017 Law Firms in Transition: An Altman Weil Flash Survey, Altamanweil.com; Jonathan Marciano, There is one danger threatening LegalTech’s future. But here is the antidote, Lawgeex.com, July 6, 2017. A comprehensive practice management system (cloud-based computing delivered over the internet is becoming increasingly de rigueur for legal technology utilized in legal organizations – low upfront fees, easy mobile access, simple setup and configuration, built in disaster preparedness – but client confidentiality and security continues to be an important consideration). Imaging/scanning Optical Character Recognition technology (going paperless should be a top priority for legal organizations). Communication and collaborations tools (website with an interactive client portal and online document repositories for technology based information sharing; video conferencing software). A system that allows the law firm to clearly define the client processes. A document drafting system (standard legal documents and contracts that are regularly used with clients. Can live anywhere, including in a cloud-based software library, and in a law practice management system). Encryption and other security measures to protect privileged client communications (antivirus/antispam software). Electronic discovery and other technology assisted review (TAR) tools for documents. Legal research tools (CanLII, Quicklaw, Westlaw, LexisNexis, Wolters Kluwer, Fastcase, Casemaker, Court official websites, free cloud based systems like Google Scholar, etc.). Word, Excel, and Powerpoint (this is mandatory, and the actual lawyers need to know how to use these basic tools, and actually use them). 2017 Law Firms in Transition: An Altman Weil Flash Survey, Altamanweil.com. 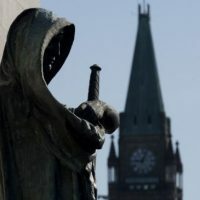 Also see, Drew Hasselback, Lawyers not embracing opportunities from technology, Deloitte reports finds, Financial Post, June 6, 2017; Robert Ambrogi, Survey: Just 7.5% of Firms Using AI, But Half Pursuing Other Innovations, Law Sites, June 7, 2017; William Vogeler, Law Firms Resist Changing Business Model, Despite Growing Competition, FindLaw.com, July 18, 2017; Paula King, Law Firms, legal departments failing to embrace innovation, Deloitte survey finds, The Lawyers Daily, June 19, 2017; Canadian legal landscape 2017: Issues and trends facing Canadian in-house counsel and law firms, Deloitte, 2017; Commission on the Future of Legal Services, Report on the Future of Legal Services in the United States, American Bar Association, 2016; Kandy Williams, Is the Legal Profession on the Cusp of Uber-Like Disruption? The ABA Commission’s Report on the Future of Legal Services in the U.S., Montage Legal.com, October 25, 2016 – Noting the legal profession has not “fully harnessed the power of technology to improve the delivery of legal services”; William Vogeler, Are Law Firms Embracing AI? Not So Much, Survey Concludes, Technologist, FindLaw.com, July 11, 2017; ‘Embrace AI and Legal Tech’ – English Law Soc Head Urges World’s Lawyers, Artificial Lawyer, September 23, 2016; Simon Thompson, Law firms slow to embrace ‘new’ technology due to lack of desire and motivation to change, LexisNexis.co.uk, January 7, 2016. David Burgess, 9,096 GCs interviewed about their law firms’ adoption of innovative working methods, such as technology and AI: How do the UK’s Top 50 law firms stack up?, Linkedin (Publishing Director, The Legal 500 Series), November 3, 2016 – 2016 Client Intelligence Report. 2017 Law Firms in Transition: An Altman Weil Flash Survey, Altamanweil.com. Also see, Hugh A. Simons, Are Law Firms Too Sophisticated for Their Own Good?, American Lawyer, and Legal Tech News, July 12, 2017. Also see, John Hyde, Winner takes all: mid-tier firms struggle to turn profits, Law Society Gazette (UK), December 19, 2016. Ron Friedman, Law Firm Profitability & Service Delivery: What the Altman Weil Survey Says, Remaking Law Firms.com, June 21, 2017; Ron Friedman, Law Firm Profitability & Service Delivery: What the Altman Weil Survey Says, Prism Legal, June 21, 2017. Jacques Bughin, etal, Artificial Intelligence, The Next Digital Frontier: Discussion Paper, McKinsey & Company, June 2017. Also see, Ken Grady, Define the Use Case, Find the Data, Train the AI: If you are going to change, know why, have data, and know the process, Algorithmic Society, July 9, 2017. Ken Grady, Define the Use Case, Find the Data, Train the AI: If you are going to change, know why, have data, and know the process, Algorithmic Society, July 9, 2017. Lisa Kay Solomon, Why Every Leader Needs to be Obsessed with Technology, Sigularity Hub, July 12, 2017. Eliot Peper, Why Business Leaders Need to Read More Science Fiction, Harvard Business Review, July 14, 2017. Paul Rawlinson, Global Chair of Baker McKenzie, Profitability is an Enabler not an Objective, BDLN.com, July 16, 2017. Dr. John Stahl-Wert, Raise Vision High and Run with Great Purpose, johnstahlwert.com, December 9, 2015. Paul Rawlinson, Global Chair of Baker McKenzie, Profitability is an Enabler not an Objective, BDLN.com, July 16,2017. Kevin O’Keefe, With Change Afoot At Law Firms, Lawyers Need to Market Themselves, Above the Law, May 3, 2017. Georgetown Law and Thomson Reuters Peer Monitor, 2017 Report on the State of the Legal Market, Managing Partner Forum.org, March 17, 2017. This entry was posted in Business Insider, Ethics and Leadership, Legal News and tagged Business Insider, Ethics and Leadership, Legal News. Bookmark the permalink.